Q: I am currently running an Edelbrock performer 750 electric choke carb on my ‘79 Trans Am 403 6.6 liter. The carb runs pretty good. It just seems like it is inefficient on this engine, which has a Holley aluminum intake. I have adjusted the air/fuel mix and I have set the accelerator pump pin about where it should be and the car still has a slight stutter off of idle. The real power doesn’t come out till around 30 to 40 mph at about 3/4 throttle or more. I’m guessing the carb is either struggling for air or it’s just not going to deliver the right amount of fuel to get a decent amount of response off of idle. I’m wanting to know if anyone has used the Summit brand street/strip carbs advertised in the Summit catalogs and if this would give my engine a better performance gain than the current Edelbrock. The Summit carb sells for much cheaper than what I paid for the Edelbrock brand new 6 months ago. I am interested in knowing if it would be beneficial to sell the Edelbrock and switch to the Summit 750 electric choke? Also would cutting the fake vents out of my spoiler help or could it have a non desirable affect? I have heard of people doing this on their shaker scoops to increase airflow and response. Another thing i need help with is if i should install an electric fuel pump for carburetors? The car has a painless wire harness so I have an entire circuit on the fuse box and the wiring to have one installed. Or will the manual fuel pump be good enough for a street/strip carb? All advice will be greatly appreciated. A: I am more of a Qjet fan and I haven’t had any good experience with Edelbrock carbs on modified engines. Edelbrock carbs work for stock engines and they are quite simple though and have few adjustments. On the other hand learning to build a Qjet takes some time and tuning them while not being complicated is made a bit tougher because Qjets have a wide range of tuning possibilities. Holley carbs are between those two extremes and there is a wealth of information available for them. I’m not sure which Summit carb you are referring to, but I assume its the one similar to a Holley or Autolite 4100 found on Fords in the 60s and 70s. If its the Qjet it might need some rework to operate correctly, quite a few Qjets are just slapped together and I haven’t bought any from Summit, so I don’t have first hand experience with them. Regardless of what carburetor you choose, you will need to spend some time getting it working correctly. Sometimes it will be close enough right out of the box that it will run just fine for you. It’s a good idea to get a book about the carb you choose and learn to make adjustments on it the correct way, that way you can find out what does what on the carb. By cutting the fake vents on the spoiler I believe you mean the shaker scoop. Yes you can remove those and the engine will receive cooler air as a result. Since its a rear facing scoop you only need to worry about water entering the open scoop when its parked, not when driving. 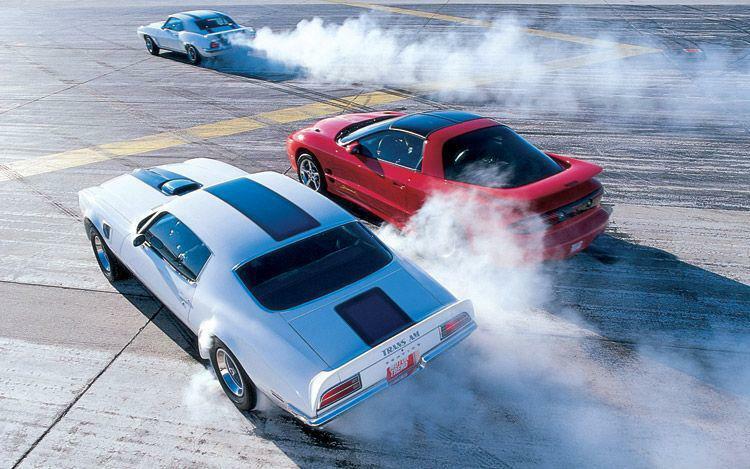 A performance difference is not easy to see unless you are on a dragstrip, most often cars will pick up about 0.2 seconds, that is two tenths of a second, in the quarter mile. What you will notice is the engine sounds louder when you open the throttle under hard acceleration. Part of the reason the scoops were closed in the early 70s was because of noise limits placed on new cars at that time. The rest of the spoilers and vents on the 2nd generation Trans Am actually work quite well, so don’t cut them off. Carburetors require a low fuel pressure, often under 5 PSI. Electric fuel pumps can require a regulator to limit the fuel pressure to the carb. If pressure is too high, it will simply push its way past the needle seat and either flood the engine or cause it to run very rich due to an elevated float level. Some pumps simply don’t have enough pressure to push past the needle seat, but they do require something else. A circuit that will kill the pump in the event of oil pressure loss or an accident should be considered mandatory. You do not want to have the fuel pump continue to run if the car is in an accident and a fuel line is severed. Also if left on with no return line, pressure can build up and push past the needle seat spilling fuel onto a hot engine. It’s better to have the fuel pump shut off if you aren’t capable of doing it at the time. I run electric pumps on some of the cars I own, one style doesn’t need a regulator but the rest do. They work quite well and most last provided you don’t try to use a race only pump continuously on the highway, as they tend to overheat if run too long. I plan to use the stock pump on the red 79 Trans Am I am working on this month, and it will get a rebuilt Qjet in place of the Holley 600 a previous owner installed. One thing about the ‘79 to ‘81 Trans Am is they had highway gearing and a 2.41 will not feel like it is accelerating until 30-40 mph. The range of gears installed in 79s was 2.41, 2.56, 2.73, 3.08, and 3.42. If you have any of the 2 series gears it will feel rather lethargic from a stoplight but it will have a low cruise rpm on the highway. You have two choices if you want to be a bit quicker off the line, both have drawhttps://fochal.com/forms/fborder.htms and considerations. You can either make more torque with the engine, or you can swap gears to a higher numerical ratio. A gear swap will increase the cruise rpm on the highway, and going too far will limit the engine life and cause overheating. For a stock 403 nothing higher than 4.11, gears and really a practical limit of 3.55 is better suited to the powerband and internals of the 403. 4.11s are if you plan to do mostly 1/8th mile racing, you will have excessive rpm on the highway without an overdrive trans, and those gears will let the engine rev past its powerband too quickly. Making more torque requires engine changes, either something simple like nitrous, or a complete rebuild will be needed to get more torque from the 403. Highway gears are not all bad though, I know of a 3700lb ‘81 Formula that has 2.56 gears and a mild 455 that runs 13.0 to 12.8 in the 1/4, if you make the torque the car will move. Most gear swaps will only pick up at most half a second, but they will change the way the car drives and operates. I will detail some of the work on a Qjet for a 403 in the coming weeks, and I might do a Holley because I need one for a Ford. Keep an eye on the red Trans Am in the project section of the club message board at https://board.firebirdtaclub.com. Q: Do you have the process outlined for installing a new headliner? I've heard it's a little tricky and I would hate to destroy my new one putting it in. 3. Remove overhead light fixture by GENTLY pulling washers off with vice grips or needle-nose pliers. 4. There are 3 Christmas-tree clips on the front edge that should be holding it in place. Slide the headliner towards the passenger side to release them. 5. Remove old headliner through door opening. 6. Reverse procedure to install once you've cut the fabric to accommodate visors and overhead opening. The only difference is that the headliner is held up by the visors rather than clips. Again, this is for third generations. Hope it helps you get started.